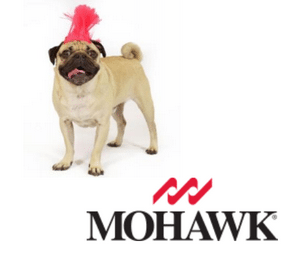 Mohawk has redefined and set a new standard in visuals in the LVT category and has added performance enhancing value! SolidTech has withstood the powerful force of a Hurricane! Pet Friendly and Durable for the most active pets and their owners, kids and when life just becomes a circus! 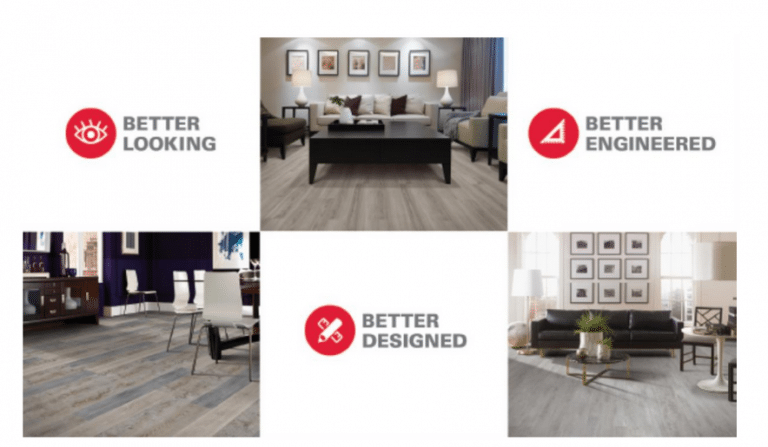 Mohawk’s Solid Tech has gone through many years of in home testing and trials and listening to the consumer’s feedback on their flooring experiences to make a better product. Because as pet owners we often have mishaps. We even have spills and messes from children and significant others that we often have to pause our daily routines to cleanup. Mohawk has helped revolutionize the durability, time it takes to clean a spill and has come up with an LVT option that will last the test of time. Please check out our available styles and feel free to give us a ring if you have other flooring questions for your specific need. Our flooring experts are standing by to help guide what is right for you! SolidTech vinyl Plank flooring ins’t just water-resistant… IT IS WATER PROOF! MultiFit technology creates an impenetrable, tight locking seal that will not allow liquids to seeep in. 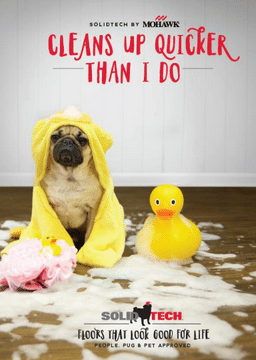 Splashes & Spills stand no chance of absorbing downward and are kept on the surface for an easy and quick cleanup! 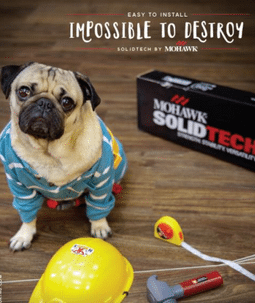 Because Mohawk’s SolidTech can’t be penetrated by liquids and forms a real amazing barrier to your subfloor, you won’t have the worry of the after clean up lingering smells you may have experienced in the past with other types of flooring. Want us to do a little research for you based on what you are looking for and don’t have time for a phone call? Feel free to fill out our request form below, and we will get to work for you to save you time! Mohawk is one of our Premier LVT options, but we may be able to put something together for you and give you a better idea of what will fit your lifestyle and flooring needs.